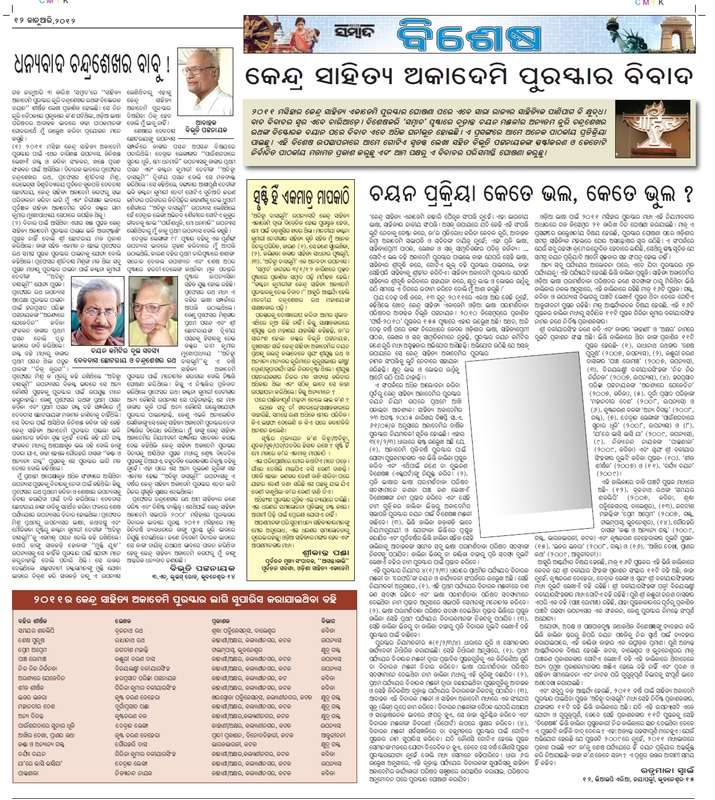 Corruption, favoritism and stupidity are rampant in “Odisha Sahitya Academy”. 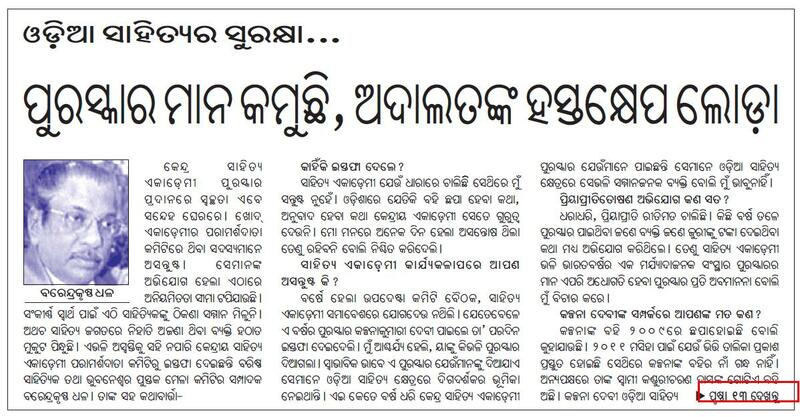 On 2008 it had awarded a ‘plagiarized book’-Nirbana (see the following report from the Sambad). 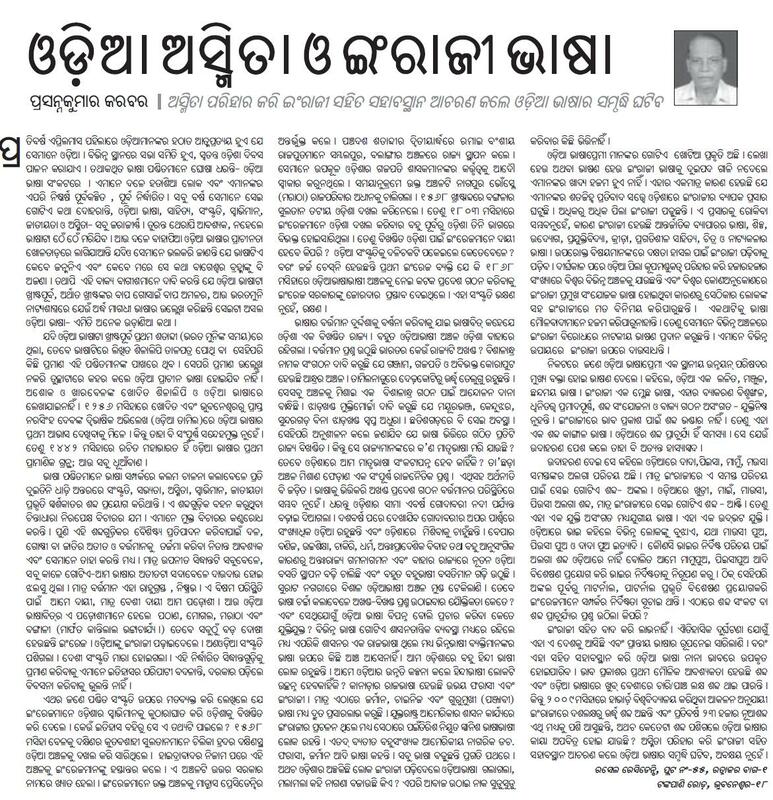 The credibility of “Odisha Sahitya Academy” is at stake. How can the selection committee select a book which is completely plagiarized? People should keep in mind that because of internet plagiarism is very common as resources are available within a click. Such favoritisms are very common in India. However, from this write-up, it seems the arguments by Chandrasekhar Rath look absurd. I do not buy his argument that creations of only famous and well established people should get theKendraSahityaAcademy award. If that is the case what will happen to the creations of newcomers. 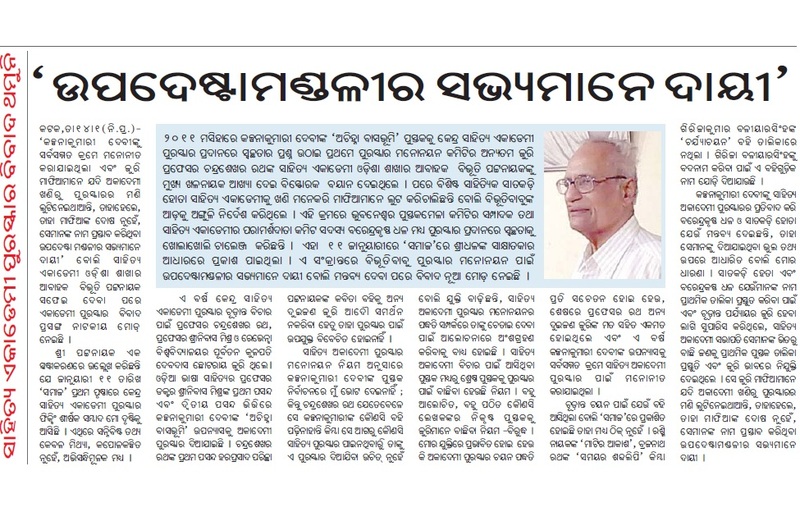 Does Chandrasekhar babu think that the newcomers of Odia literature should go and fly kites? I do not know the detail of this debate. But looks like, it is an old vs newcomer debate. 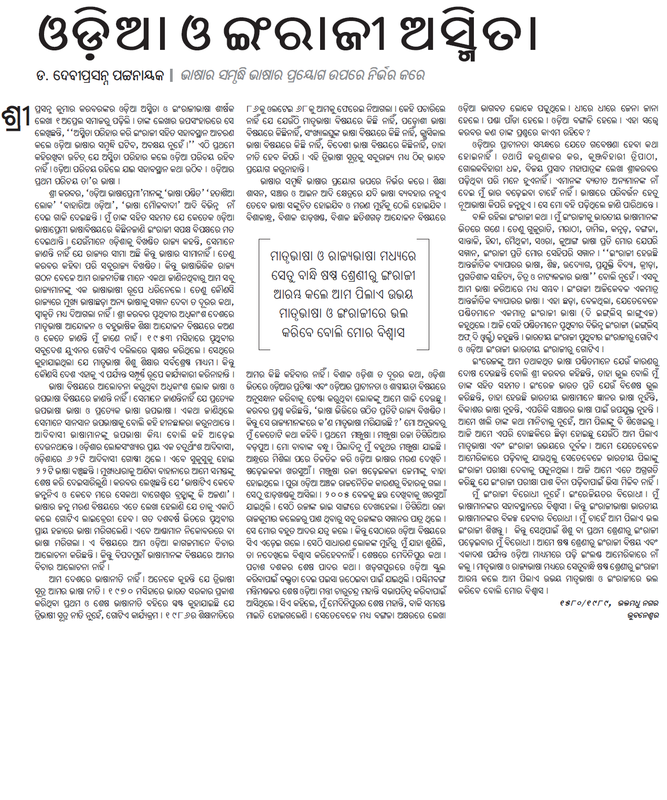 Standard of Odia literature is declining. Sad, but true!